Mrs. S. served as a huge inspiration in my first year out of college with a teaching certification. 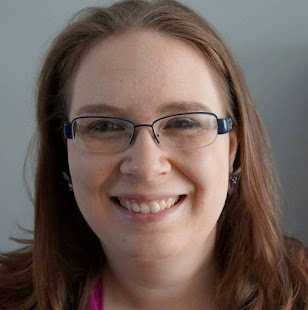 I often substituted as a paraprofessional in her class, and she instilled in me a passion for teaching the younger grades (my primary area is middle school). Mrs. S. just retired over the summer, and we miss her immensely! 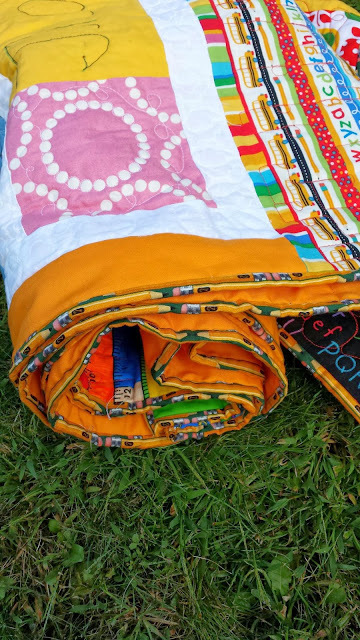 I wanted to make her something unique, so I gathered up all my school fabrics (I bought them in a frenzy 3 years ago when I started quilting, but many were just sitting in my stash). I asked the school staff to send me messages for the fabric, and I got 30 + messages! Woohoo! 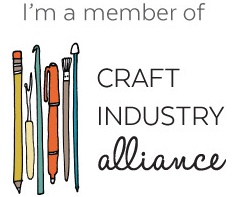 I wrote most of them on fabric with one of my special pens (if you want to know the brand, I will get it out for you! :) ). Some people requested that they write it themselves, so we met up over the summer. I didn't know how to quilt the white space so I quilted in words about teaching kindergarten :) (ABC, teach, read, write, laugh, learn, add, spell, and above - kindergarten). The pencil was a big theme in the quilt - I thought Pearl Bracelets made the perfect eraser! Many people have said they love the eraser fabric... and I'm like, yup, me too, it's the best! 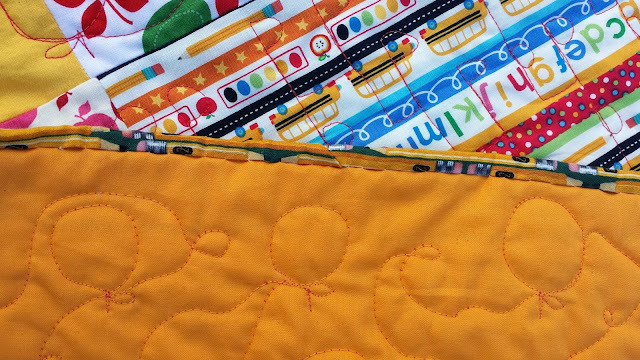 The backing is School Bus Orange Kona (perfect, no?) and a cute piece of school panel. 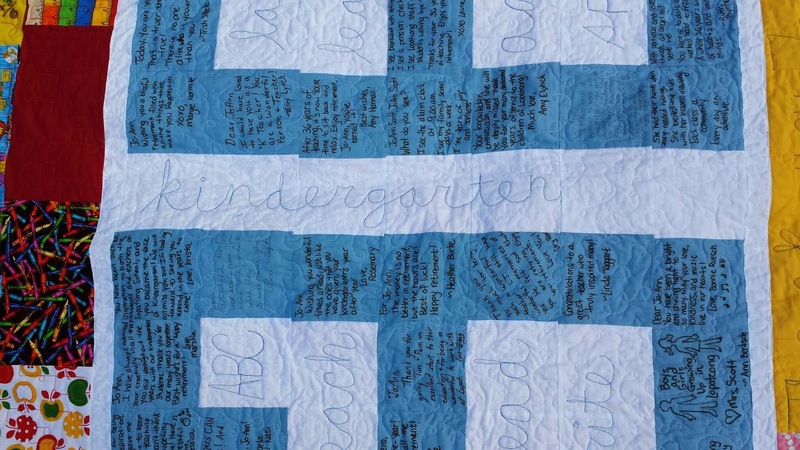 I recently presented the quilt at a party for her and our new superintendent. 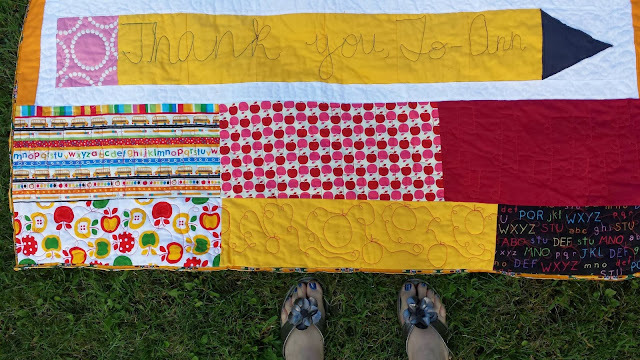 This is the only picture I received from the party - as some of my teacher friends were holding up the quilt, one of them exclaimed, "she quilted MUSIC NOTES into it! Oh my gosh!" So there's Mrs. Scott trying to look :) (the music notes are to commemorate her amazing piano playing for countless kindergartners!). Great job! Things like this are just the absolute best!! What a beautiful quilt...and such a great idea! Lovely. What a wonderful gift! 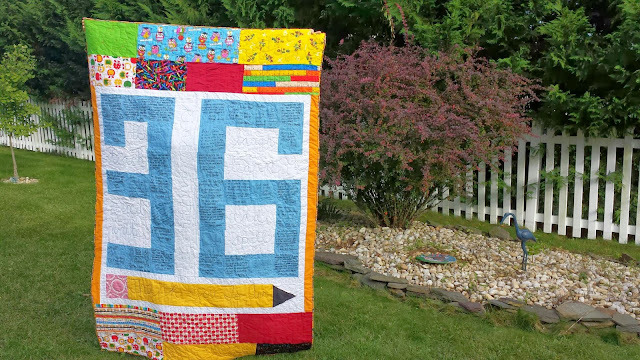 The sentiment is so nice and the quilt is beautiful! 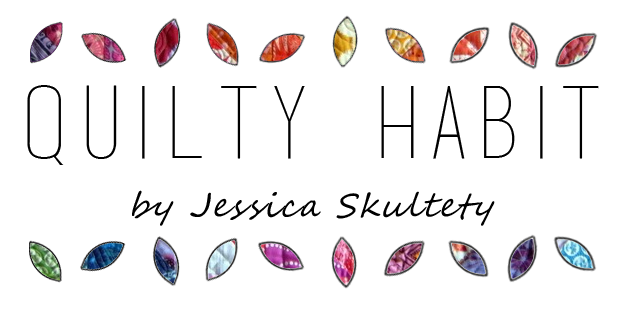 This is so wonderful, Jess! I know she was touched to receive it! What great fabrics you have there! I'm sure she'll love curling up in that and reading, or using it for a little nap on the couch (one of my favorite things). I get so many ideas from people's quilting blogs and Pinterest. 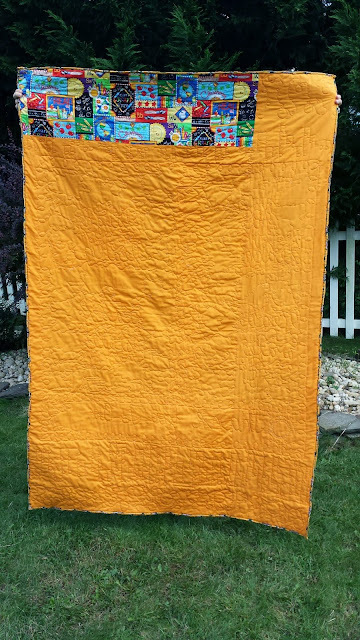 I also have a custom quilt I need to make by springtime that's a little bit of this and a little bit of that (beach, lighthouse, Red Sox...) and I'm going to get ideas from everywhere and put them together! 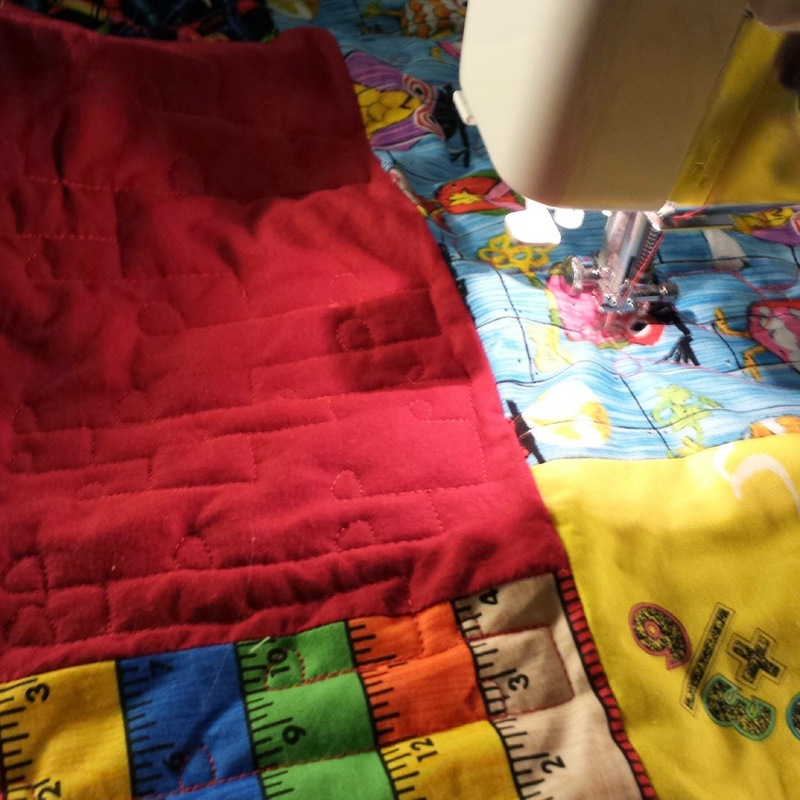 It's so great to have all these wonderful quilty images at the click of a keyboard! OH my!!! That is so fabulous. The small details really really make it. Fabulous... like bring a tear to my eye fabulous. 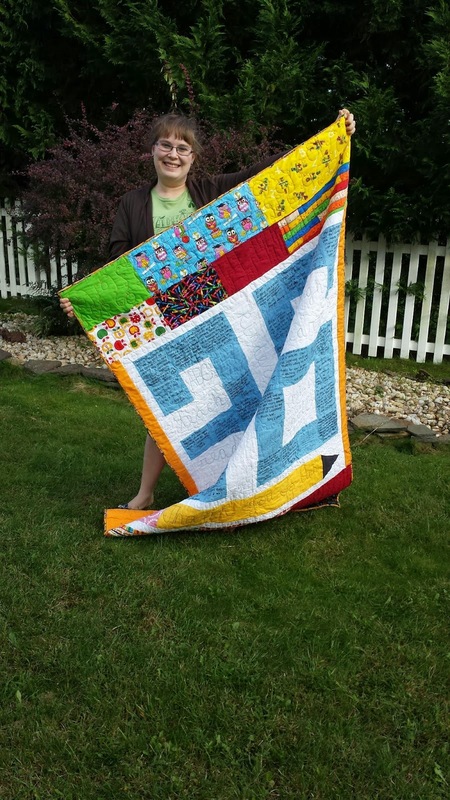 What a fabulous quilt and yay for you for quilting it yourself! I love how you can personalize it with the quilted words and designs. Simply awesome! What a great gift for a person who is so obviously loved and admired! Let's start a conversation! I love comments and I'd be happy to reply to all who have an email address accessible. Thanks for commenting! It's DONE, but not quite... help! 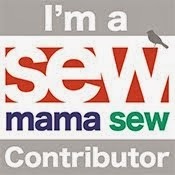 Sewing With Certainty Goal Link up!